Books adapted for TV are in high demand, with Starz, Hulu, and HBO frequently snapping up the rights to popular novels. It is surprising, then, that Hallmark Channel won out for Chesapeake Shores, the popular Sheryl Woods series; what’s not surprising is that the show is a bonafide hit. The series debuted last year and became the most-watched series in the network’s history among women 25-54 and adults 25-54 (Live +3). Found Remote: Why do you think that Chesapeake Shores has resonated so much with the Hallmark Channel audience? Dan Paulson: Chesapeake Shores is a family orientated drama which deals with the trials and tribulations of the O’Brien family, and as such, deals with issues that all families can relate to. FR: You’ve been developing shows for a long time. What was it that made you so sure this would work for TV when you were reading Sheryl Woods’ book? Paulson: First of all, Sherryl is an excellent writer who draws rich characters that become involved in fascinating story lines. The fact that her books have reached the #1 position on the New York Times Bestseller list, confirmed my sense of this book series working on television. FR: There seems to be a never-ending stream of scripted dramas premiering on TV now. How does Chesapeake Shores stand out from the crowd? Paulson: Many of the scripted dramas appearing on TV these days are dark and edgy. 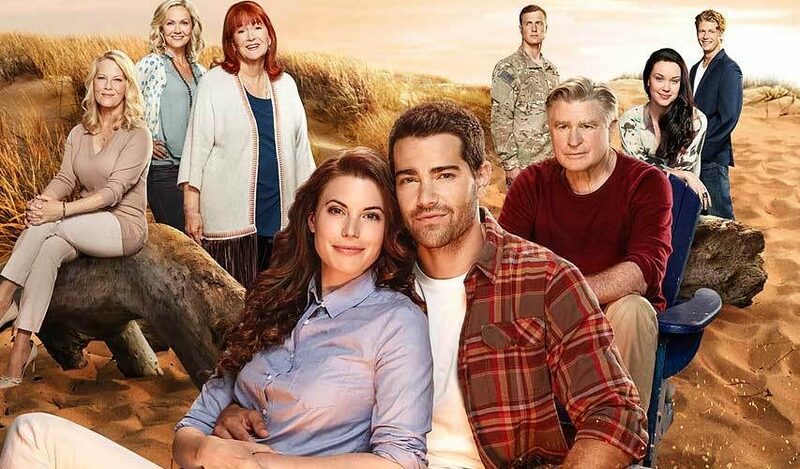 The fact that Chesapeak Shores is a family drama, which can be viewed by children, their parents, and their grandparents all at the same time, makes it stand out from the other fare that is currently being produced. FR: If this is the “Peak TV” era, what’s next? How will you try to stay ahead of the curve when developing new shows? Paulson: There is no question that we’re in the midst of a Golden Age of television. The writing for TV has never been better. While I’m always looking for break-through concepts, I will never forget the tried and true formulas which consistently work with both new and old audiences alike. FR: You can’t build hype without good content. So, given that Chesapeake Shores meets that criteria, how has the marketing team at Hallmark Channel helped draw viewers? Paulson: The marketing team at Hallmark is very progressive in the sense that they not only work with traditional areas of promotion, but they have also stayed on top of the cutting edge potential of social media. This is crucial towards taking programming and turning it into a hit show. FR: What should fans be on the lookout for in Season 2? Paulson: Trace and Abby will have their ups and downs. Abby is intent on being more of the mother that she never had with her own daughters, while holding down her career. Trace will be realizing his dream as a musician while trying to make things work with Abby, the love of his life. The rest of the O’Brien family, specifically, the brothers and sisters, will be involved in romantic stories of their own. Megan O’Brien will be moving back to Chesapeake Shores, and Mick’s brother Thomas will show up in town, creating drama within the family. Season 2 of Chesapeake Shores will have its own special balance of comedy, drama, and romance that will satisfy its audience, keeping them coming back for more.